Well, duh. But great article about recent research on this here, in the WSJ. Strangely, as my stepdad pointed out, it doesn't mention the Sapir-Whorf hypothesis. But still, worth a read. * Russian speakers, who have more words for light and dark blues, are better able to visually discriminate shades of blue. * Some indigenous tribes say north, south, east and west, rather than left and right, and as a consequence have great spatial orientation. * The Piraha, whose language eschews number words in favor of terms like few and many, are not able to keep track of exact quantities. * In one study, Spanish and Japanese speakers couldn't remember the agents of accidental events as adeptly as English speakers could. Why? 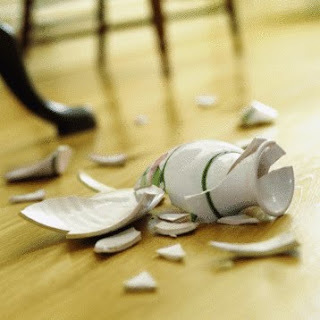 In Spanish and Japanese, the agent of causality is dropped: "The vase broke itself," rather than "John broke the vase."